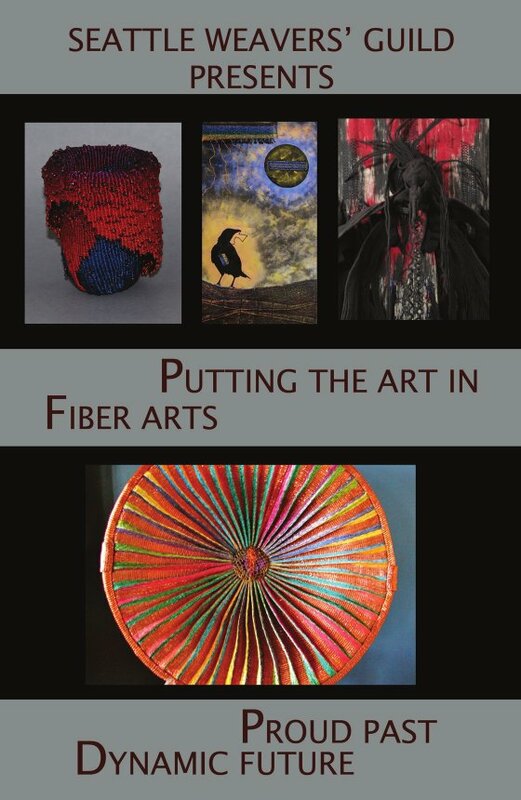 Fiber Arts in all directions are presented in an exhibit entitled “Putting the Art in Fiber Arts – Proud Past, Dynamic Future”. This show will focus on woven, felted, surface design and multimedia art works created by current and former members of the Seattle Weavers Guild and is held in conjunction with acknowledging the 75th Anniversary of the Seattle Weavers Guild. One area of the show, “Proud Past”, focuses on fiber art pieces that are five years and older, defining a rich heritage of creative work. The other area emphasis of the show will be “Dynamic Future” and will exhibit artwork that represents newer directions of SWG members. 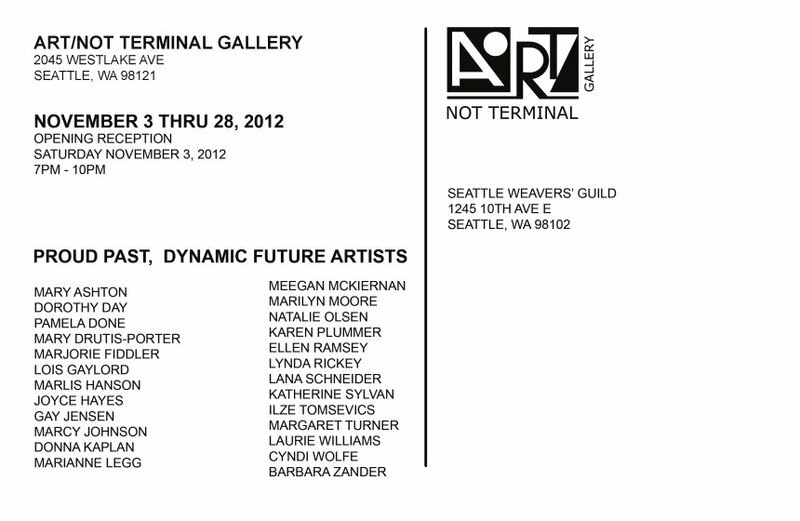 The postcard of information informs that the exhibit is held at the Art/Not Art Studio 2045 Westlake Blvd Seattle. The show runs from November 2nd through the 28th. Field Trip? Just a reminder that the Annual Show and Sale inventory forms and item tag forms are available on-line as PDF files to print and fill out by hand. In future, we will provide editable forms that you can fill out on your computer and print.